I went from wearing medium-sized shirts to small-sized shirts, and I lost 11 pounds. My diet and nutrition focuses on vegetables, lean meat, and NutraStart. To stay motivated, my husband and I work out together. My exercise includes 5K runs, intervals, ab muscle workouts, and exercise with light weights. I feel healthy and full of energy, enabling me to do more during the day. My family members and I are committed to working out because we understand that our health is key to our happiness. My results have encouraged many people to take a look at 4Life. 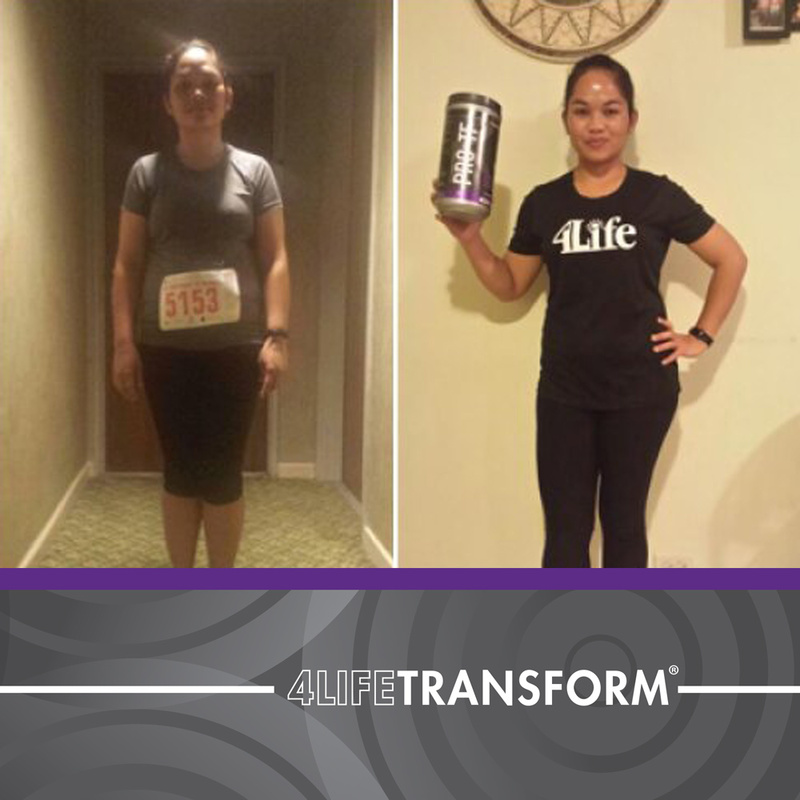 These results are not typical and were achieved through the 4Life independent distributor’s commitment to exercising consistently and consuming a healthy diet. Consult with your physician before you begin any lifestyle program that includes a change in diet and/or exercise .